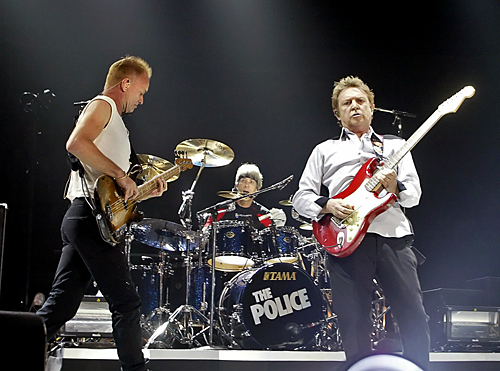 Last night I attended the biggest concert of this year, The Police reunion tour! My Dad and I hit the Westpac Stadium in Wellington for a night of classic rock. Then Fergie, the American duchess hit the stage for some obnoxiously loud hip hop with dancers in tow. The Police chose to donate the majority of the earnings to their charity of choice, Water Aid. And what concert would be complete without a tour t-shirt?